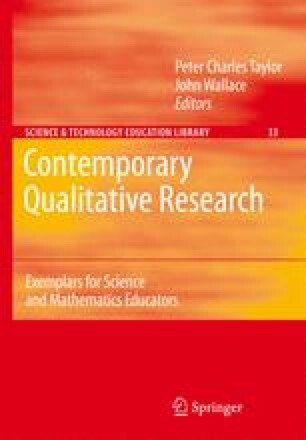 I have been asked to write this chapter about the processes of qualitative research so that my experiences as a beginning researcher can be of assistance to others who are also beginners. In writing, I have drawn on the text of my thesis and on my memory of carrying out the research. In the first section of the chapter I attempt to locate my research in the ever-expanding and changing field of qualitative theory. I then describe the data-gathering techniques used and the methods of data analysis I employed. In each case I have attempted to recall my difficulties and dilemmas. In the final section of the chapter I return to the qualitative theme of “self as instrument” in the research process.